The picture surfaced earlier this month and it shows Willow Smith on the same bed with Moises Arias. Fully clothed 13 year old star Willow Smith and shirtless 20 year old Moises Arias of Hannah Montana fame are posing together on a bed for Instagram, and people don’t want to believe it’s innocent. According to Willow’s famous parents, Will Smith & Jada Prinkett, Moises is a friend of the family who grew up with their kids, and the whole situation is not worrisome. “There was nothing sexual about that picture or that situation. You guys are projecting your trash onto it. You’re acting like covert pedophiles and that’s not cool,” Jada Prinkett stated earlier this month. But the simple words of the woman were apparently not enough proof, and the Los Angeles Department of Children & Family Services started an investigation. The investigation started last week, and it includes chats with Willow, her family, as well as Moises. “This won’t just be one or two visits with the family, and it will likely be an open investigation for at least a month, out of an abundance of caution,” a source told the press. 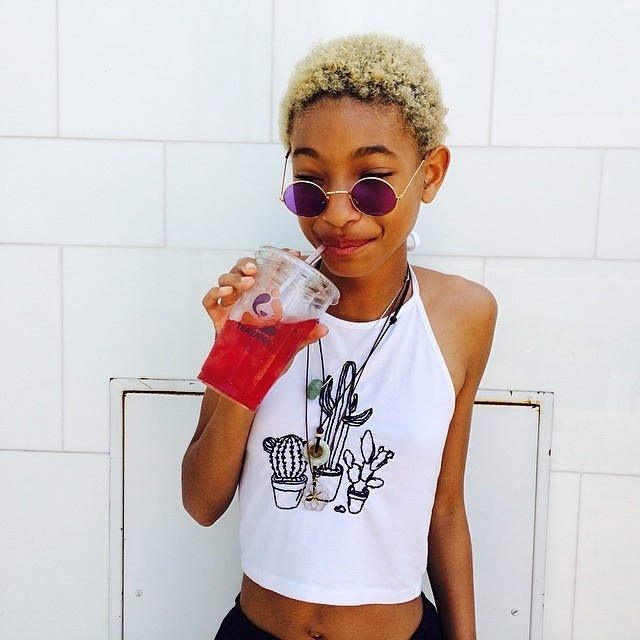 Willow’s parents defended the picture, saying that no one would second guess it if it were taken at the pool. It’s just the lying in bed that made it look like something it wasn’t.